Nestled among the rolling hills of the Mohawk Valley, the town of Rotterdam was formed in 1820 from the Third Ward of the city of Schenectady. 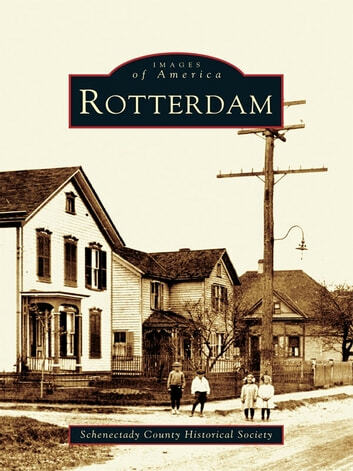 Its history, chronicled in Rotterdam�s two hundred images, begins much earlier and is essentially the story of people past and present. The original settlers, mostly of Dutch origin, turned the wilderness into farmland. Their descendants and those who followed expanded into other livelihoods, producing goods that were shipped first along the Erie Canal and later across the nation by rail.